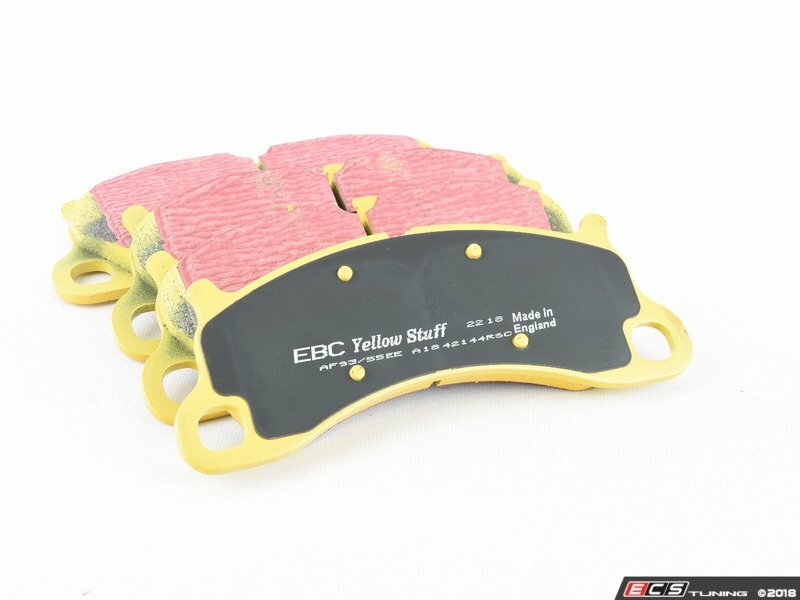 The EBC Yellow Stuff brake pads are the Ultimate Race Brake Pad for Highly Tuned Cars on both Street and Track. Although a full race material and capable of high temperature use with very good wear life, this new formulation sets a new trend in race type brake pad compounds. 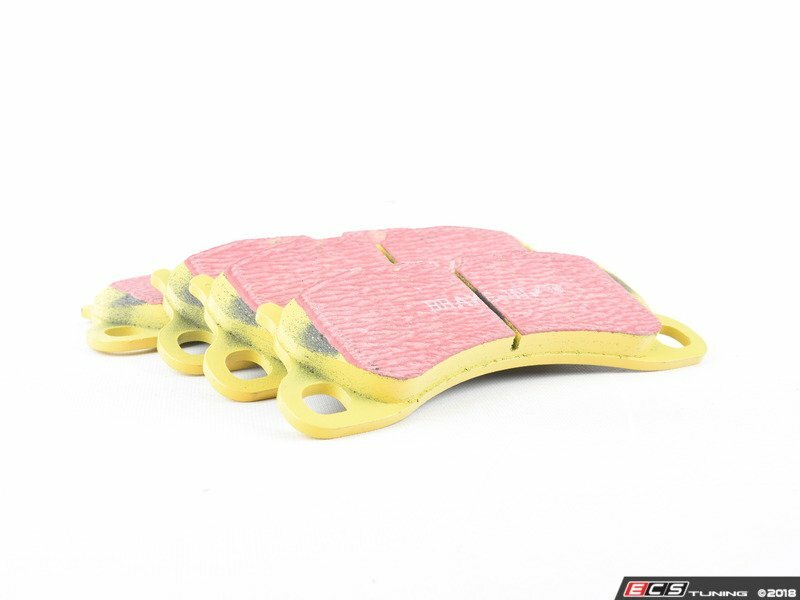 The "bite" from cold is superb which is uncommon with race materials (normally requiring warm-up) and makes this a pad which can be safely used on the highway as well as on the race track. This new formulation was used by numerous championship race and rally drivers in 2004 and is truly a milestone in brake pad material development. 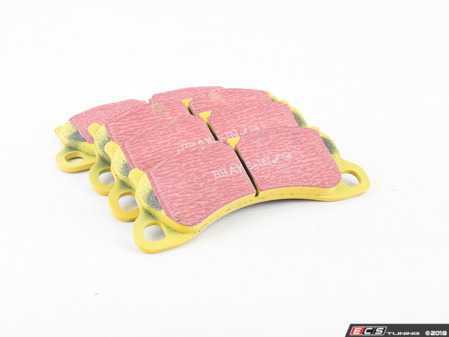 All EBC Yellow Stuff pads feature EBC's Brake-In technology, this is a mild abrasive red coloured coating applied to the surface of the pads. It helps reduce bed-in time significantly and lightly scrubs the brake disc after new pad installation allowing optimum braking to be achieved faster.